Pronounced "gree-OH," our name is inspired by the West African tribal historians, the storytellers who perpetuate village traditions through their composition of both music and poetry. For centuries, these compositions have been created on the Kora, a 21-string instrument with harp-like sounds. Like the stories themselves, the musical skills required to play the Kora are passed along to descendants, which has made the instrument a prominent fixture in traditional African tribal music. 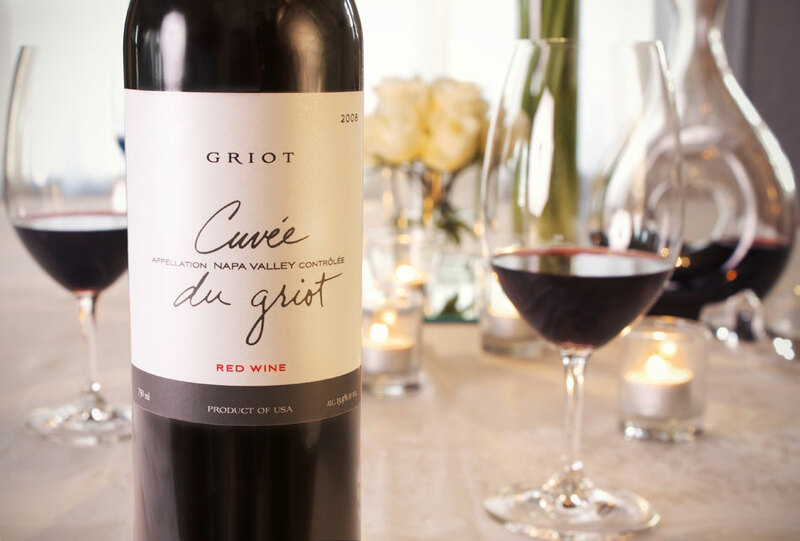 Every wine has a story, and Griot shares ours. Our “blend of the storyteller” was created in a traditional Bordeaux style blend known as “Claret.” The 2013 vintage release of Cuvée du Griot is composed of 31% Cabernet Sauvignon, 25% Syrah, 25% Malbec, 18% Merlot and 1% Petite Verdot. Sourced from four different vineyards located within the Napa Valley and Paso Robles, the cuvée features Cabernet Sauvignon from both Napa Valley and Paso Robles, Syrah from Napa Valley, Merlot from both Napa Valley and Paso Robles, Malbec and Petit Verdot from Paso Robles. 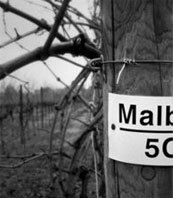 Each varietal were coveted because of their distinct fruit flavors and the ideal locations of each planting. The five varietals were harvested by hand, aged for 18 months in French and American oak barrels, and then blended to heighten the essence of dark fruit flavors and terroir expressed in this distinctive cuvée. The grapes were sourced from two different vineyards located on the cooler Westside of Paso Robles all being planted in clay-based to sandy loam soils. The whole-cluster grapes were handpicked in the early morning and lightly-pressed. The juice was fermented in a stainless steel tank and then aged sur lie in 50% neutral French oak and 50% stainless steel barrels for 6 months. The wine did not go through malolactic fermentation and was clarified by bentonite fining before being filtered prior to bottling. The blend consists of 68% Moscato Giallo, 25% Chardonnay, 7% Fiano. In the glass, the aromas of the Moscato Giallo envelop the bouquet, lingering flavors of Jasmine, white peach and citrus gives way to an elegant dry finish. This wine can be paired with a variety of dishes from a simple plate of prosciutto and melon, grilled prawns, chicken satay or a simple selection of young cheeses. 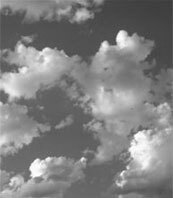 (Kõtoer) A storyteller or poet who narrates a story without support other than his knowledge, imagination and improvisational skills. Conteur is a “non-vintage” wine produced by Griot cellars. 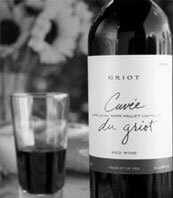 On selected occasions the utilization of Syrah (omitted from the vintage dated wine of Griot) are crafted into a cuvée often referred to by us as the quaffing wine. The Syrah grapes were sourced from three different vineyards located in the Calistoga AVA all being planted in clay-based to sandy loam soils which were dry-farmed throughout the growing season. The grapes were handpicked, sorted, crushed and pressed. The juice was fermented and then aged from 5-18 months using a combination of 15% new and 85% neutral French oak barrels. In the glass, the wines engaging dark hue is apparent and gives way to a deeply scented aromas of ripe black fruit and terroir, while the lingering and balanced flavors coat the palate after each taste. This wine can be paired with a variety of dishes from roasted chicken and beef satay to an assortment of food coming off the grill or a simple selection of aged cheeses.